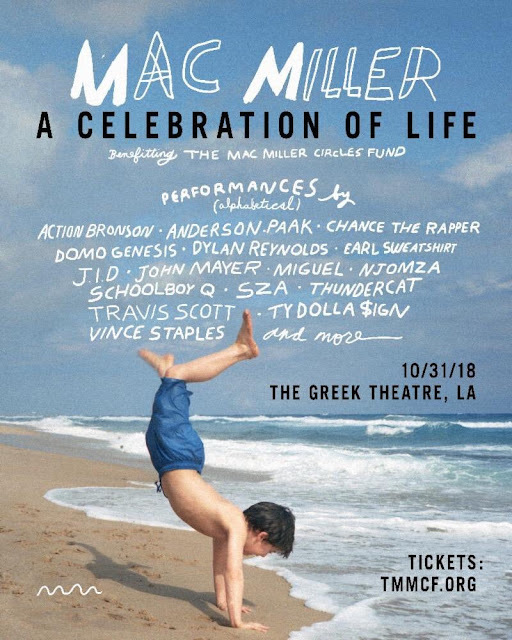 mac miller Mac Miller’s Family Announce ‘Celebration of Life’ Concert and Charity..
Mac Miller’s Family Announce ‘Celebration of Life’ Concert and Charity..
Friends and family of Mac Miller are coming together to honor the late musician and make a positive change in the world. The show is due to take place Wednesday, Oct. 31, at Los Angeles’ legendary Greek Theater, and will feature a diverse roster of performers including friends Chance the Rapper, John Mayer, Travis Scott, Miguel, SZA, ScHoolboy Q, Vince Staples, Ty Dolla $ign and more. So if your in LA u dont wanna miss this great show ..